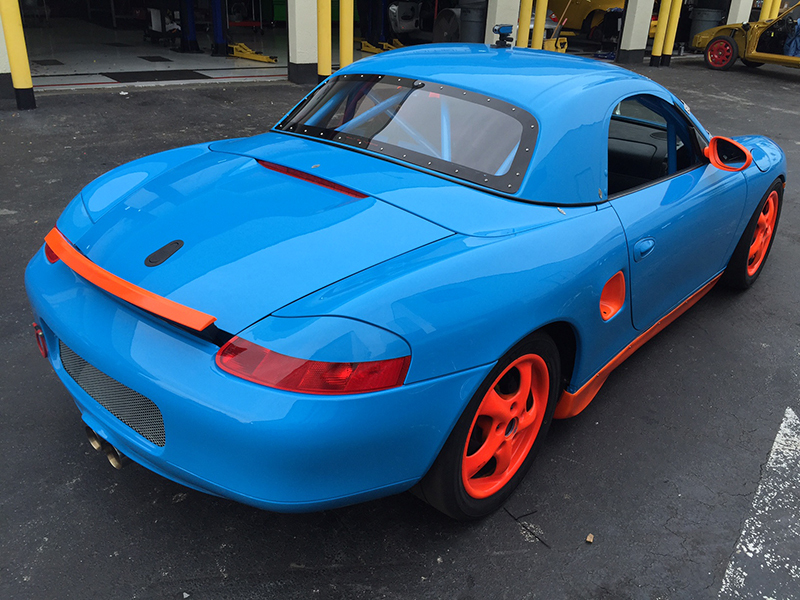 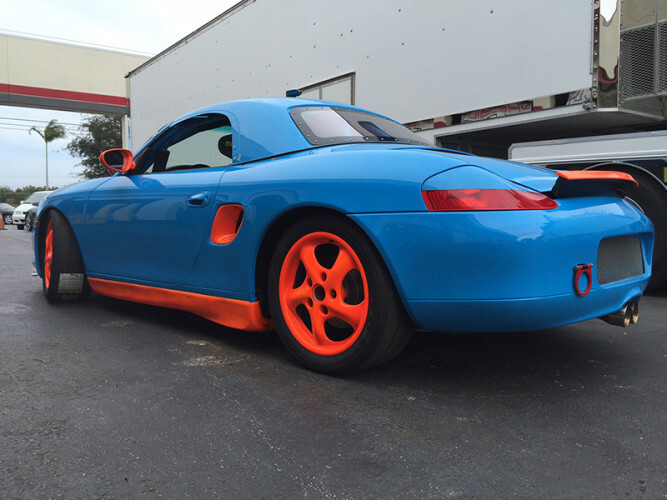 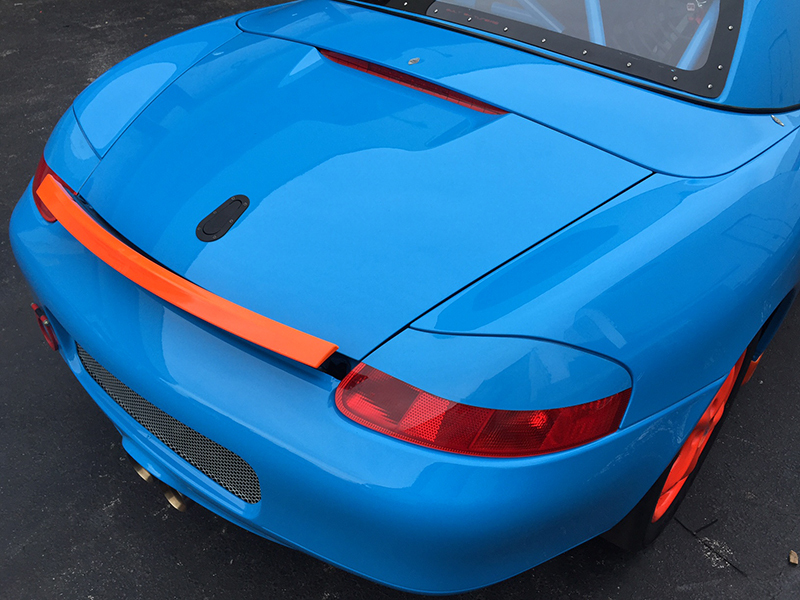 This is Spec Boxster build #008 by TuneRS Motorsports. 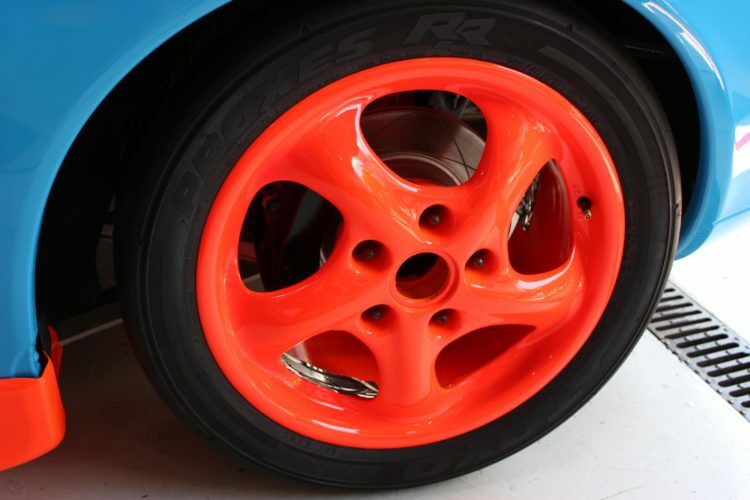 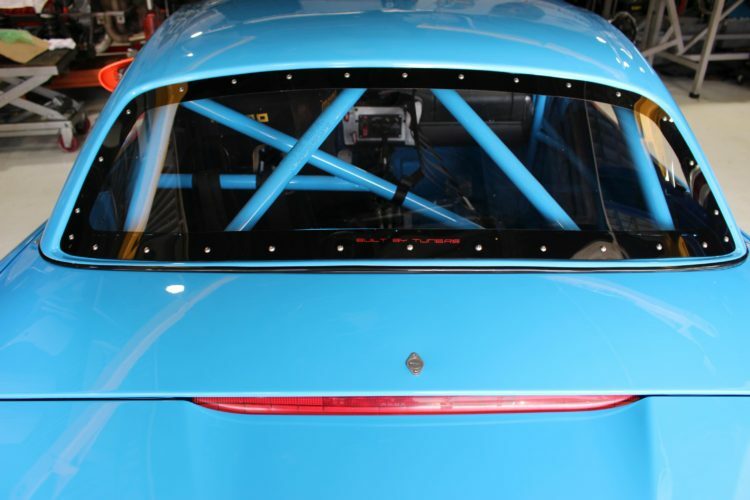 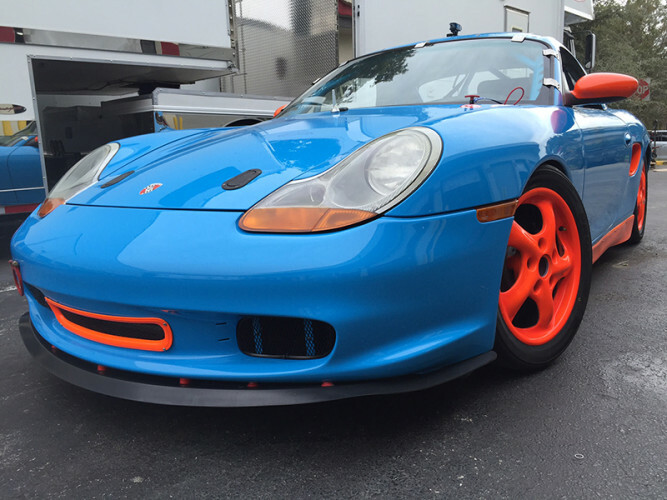 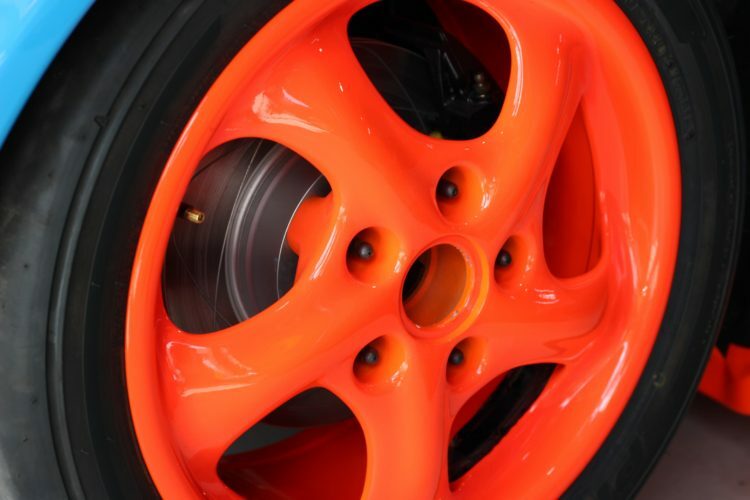 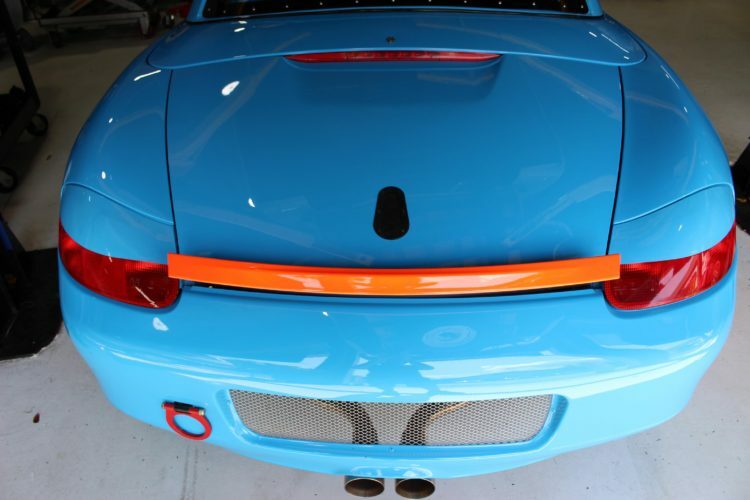 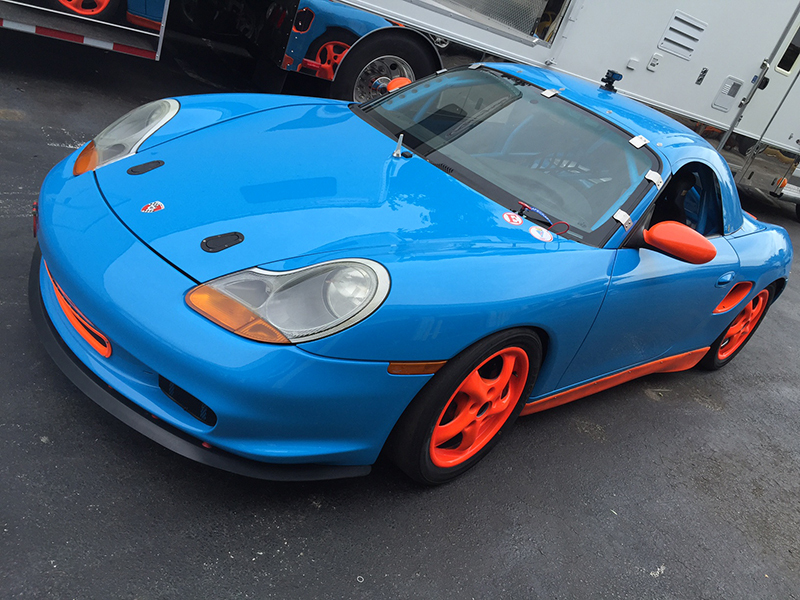 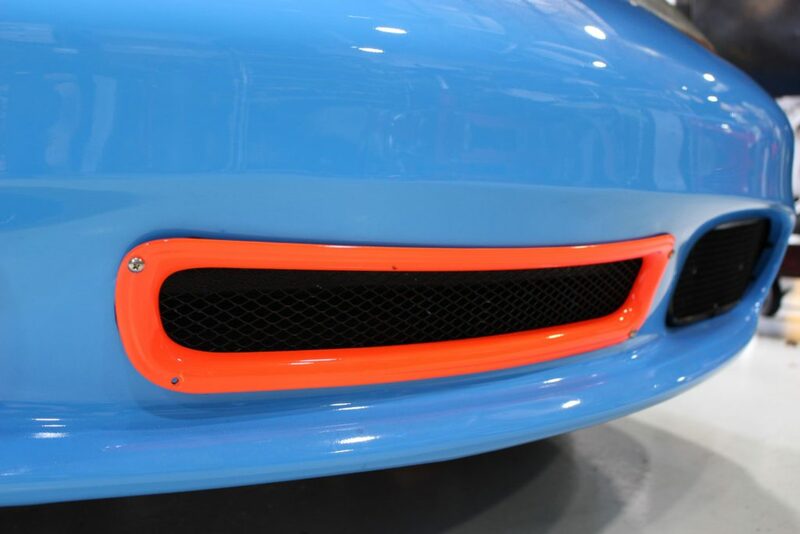 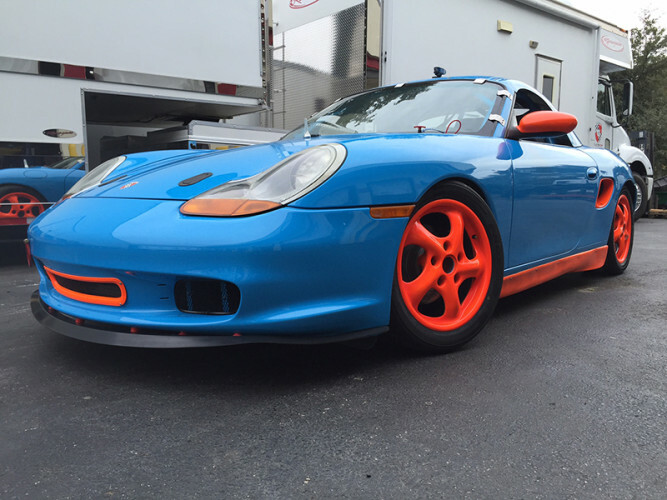 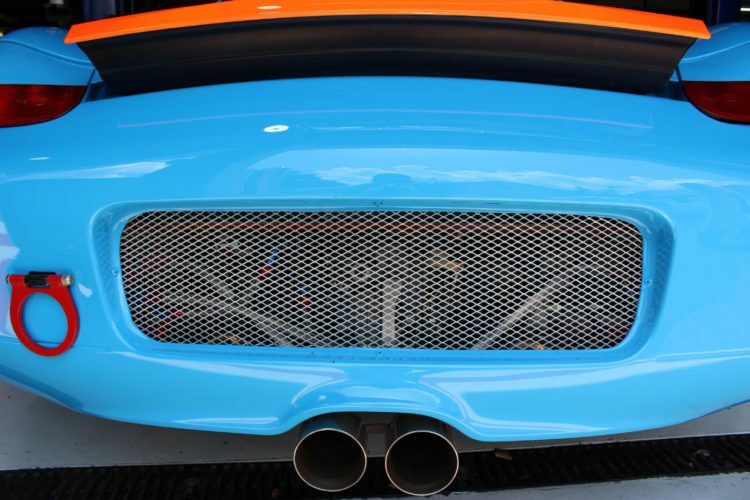 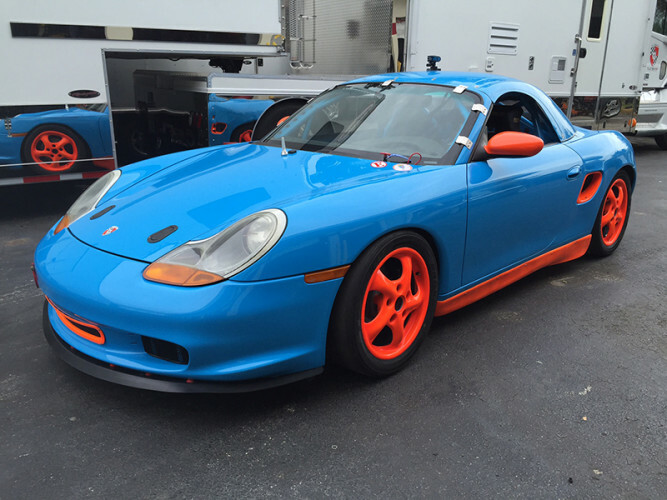 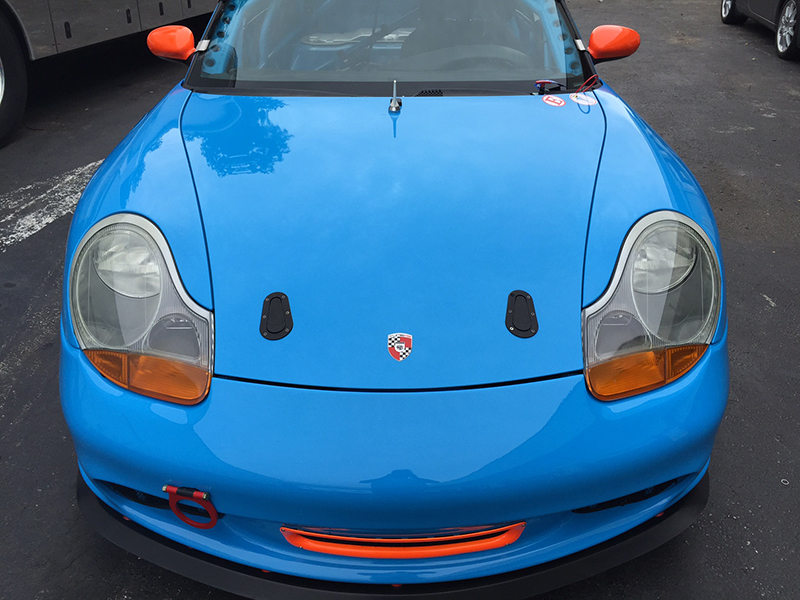 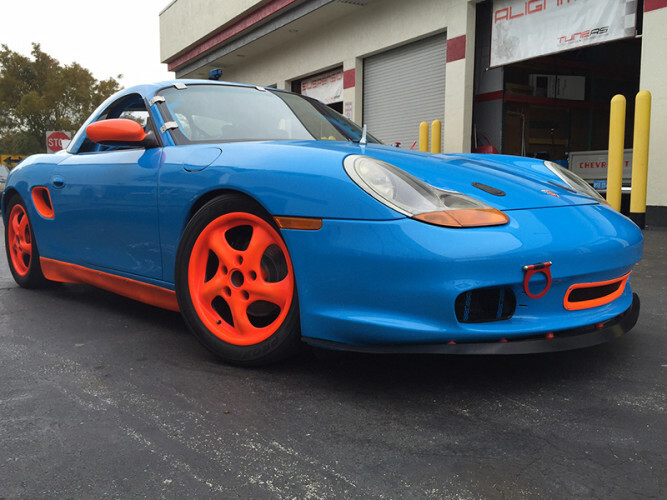 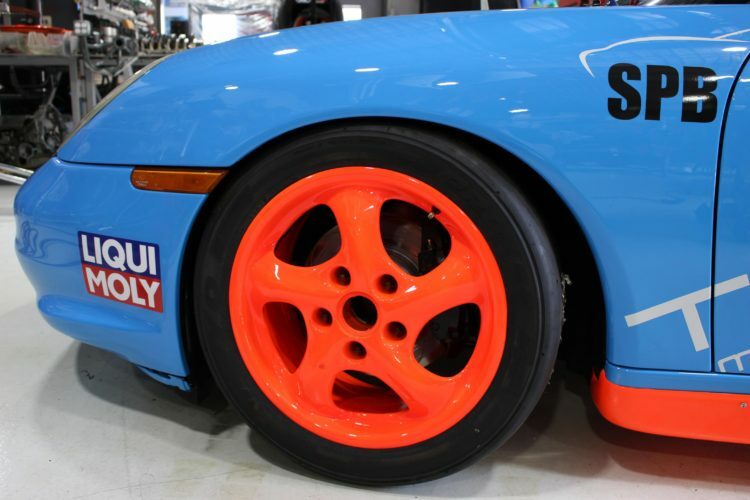 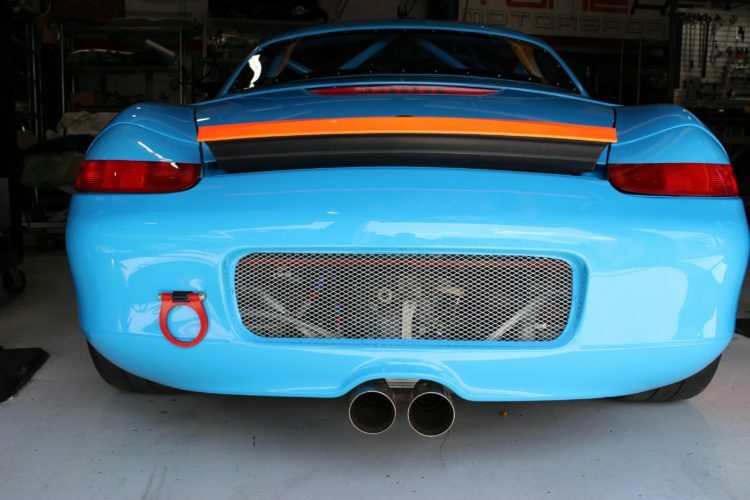 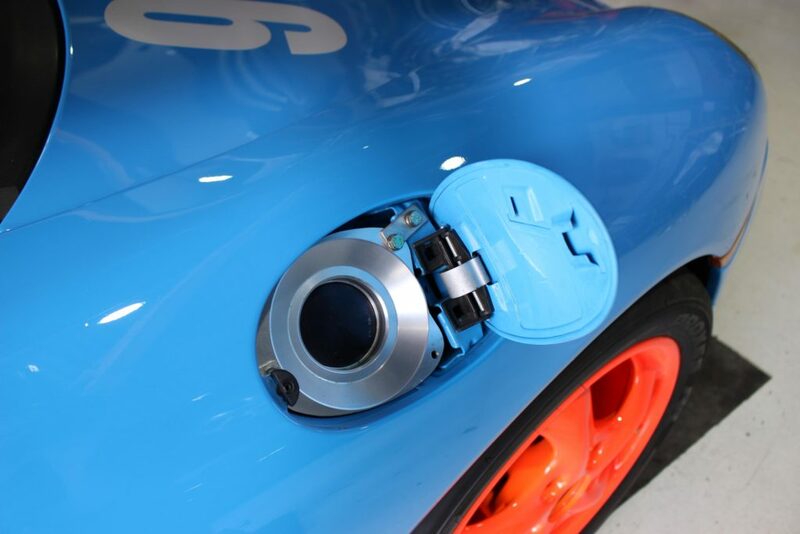 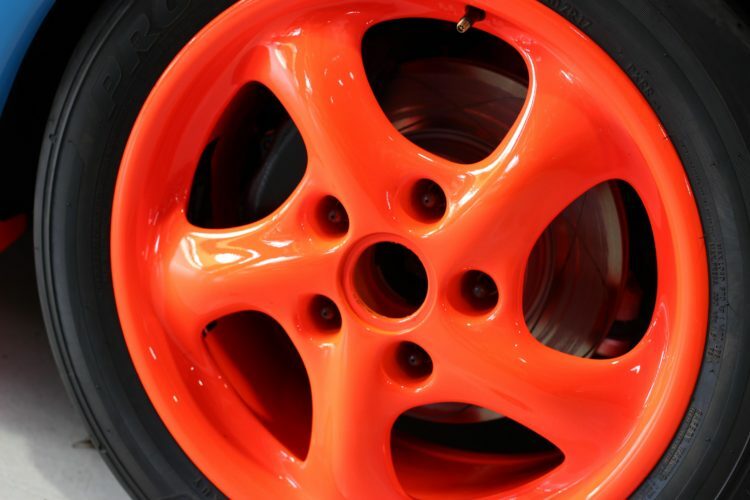 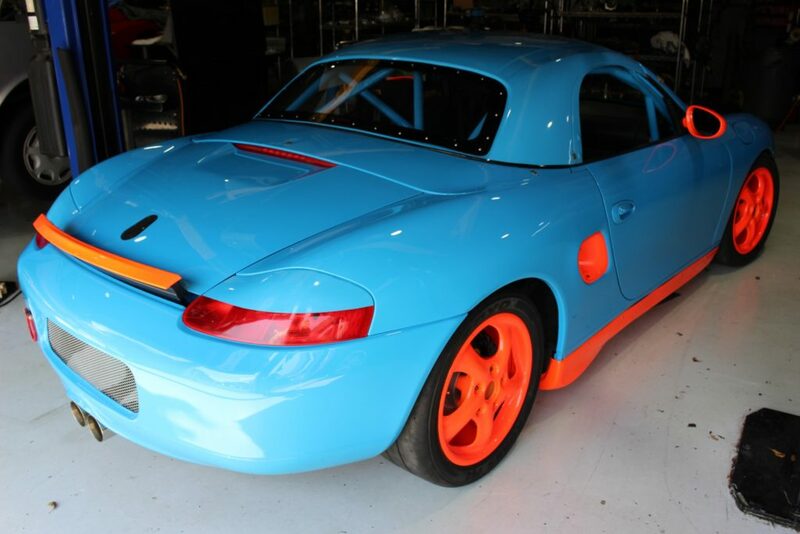 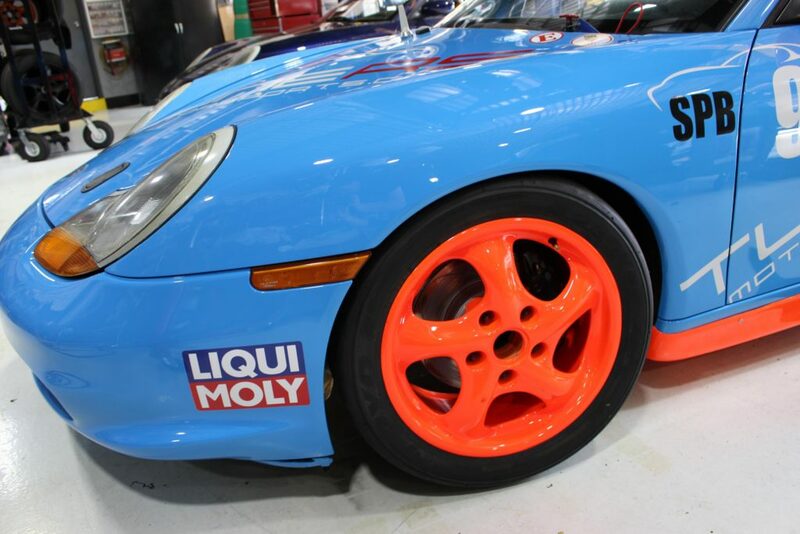 It is painted Riviera Blue with Orange-glow accents. 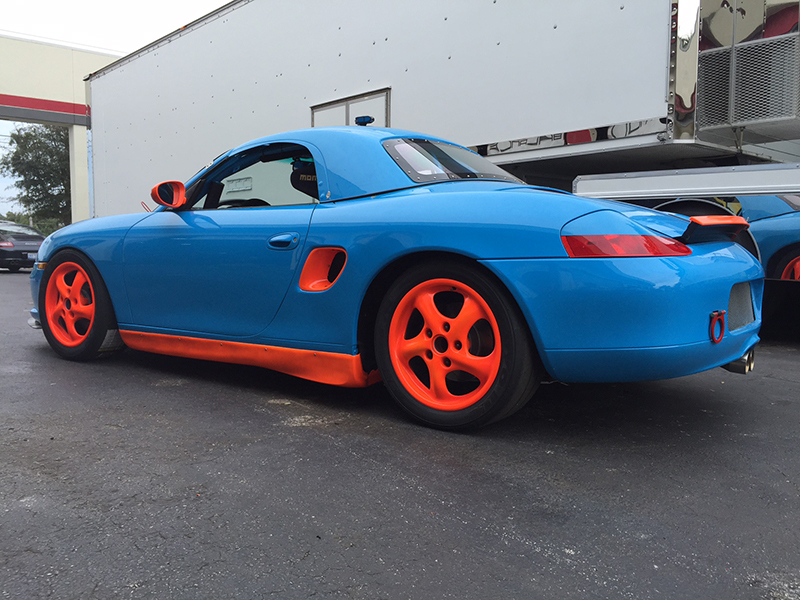 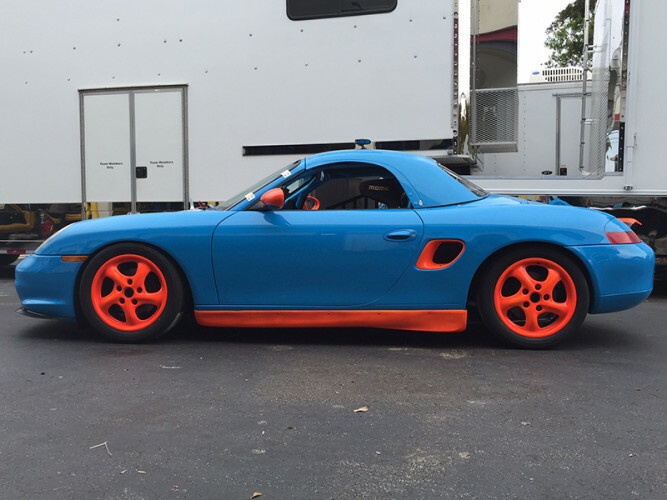 All of our Spec Boxsters are built in house at TuneRS facility in Coral Springs, Florida. 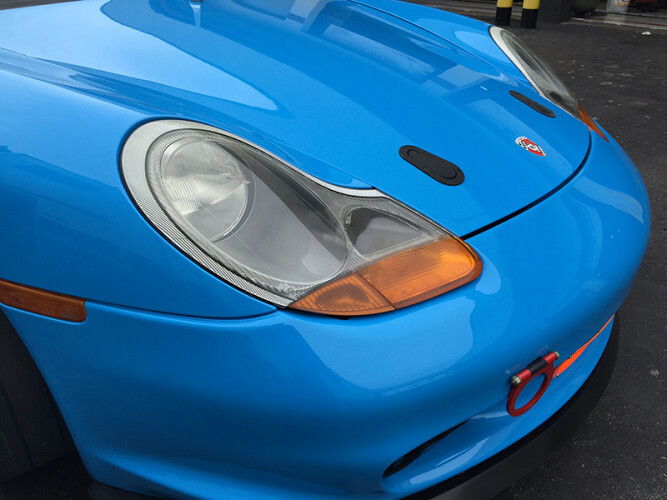 Each one of our Spec Boxsters is built to compete while staying strict to the rules set forth for Spec Boxster. 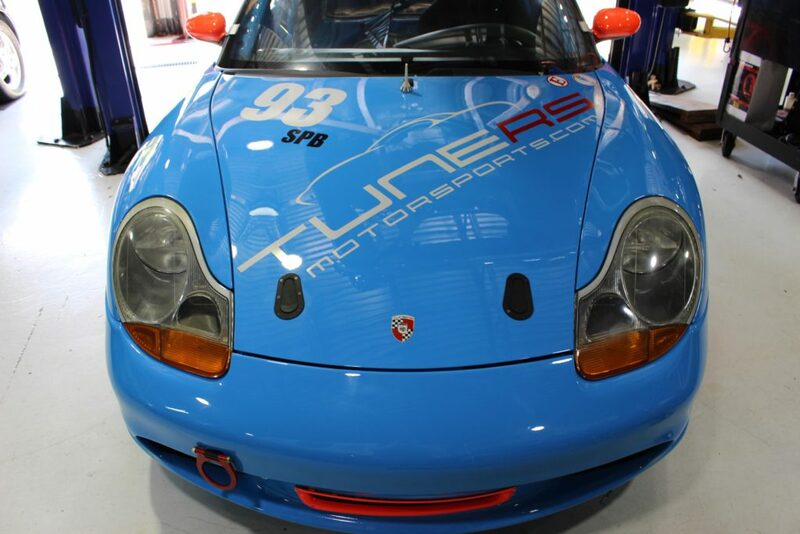 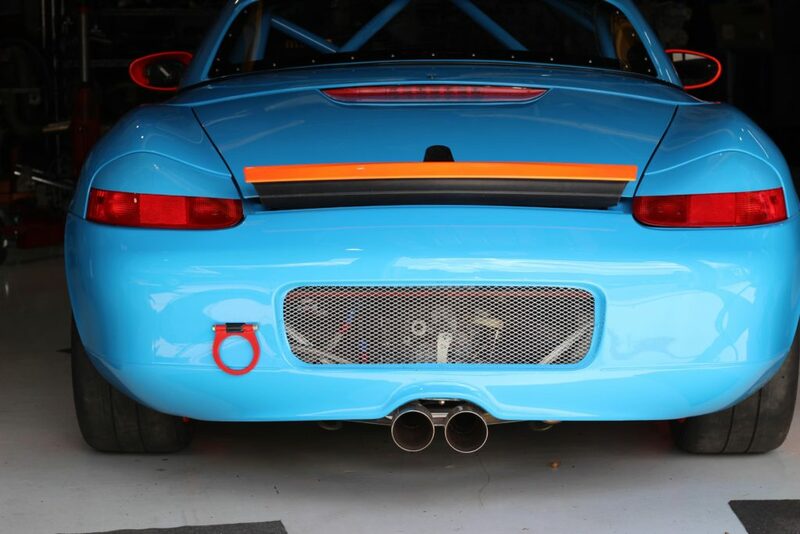 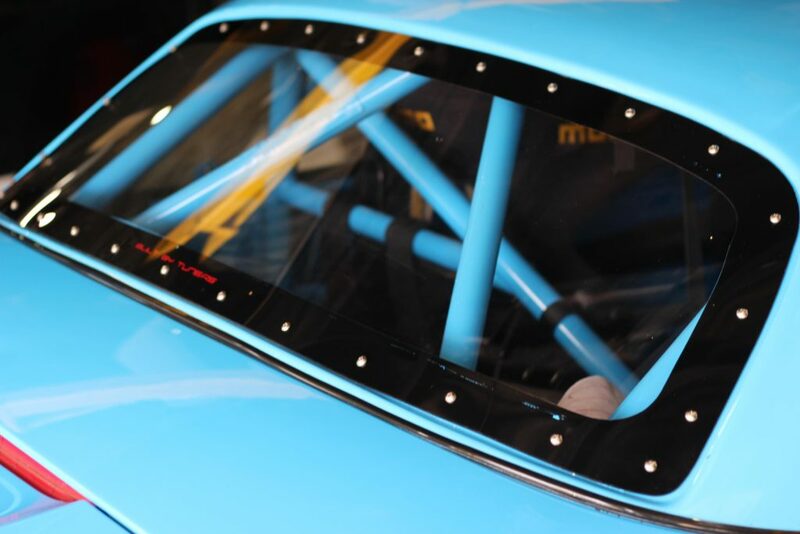 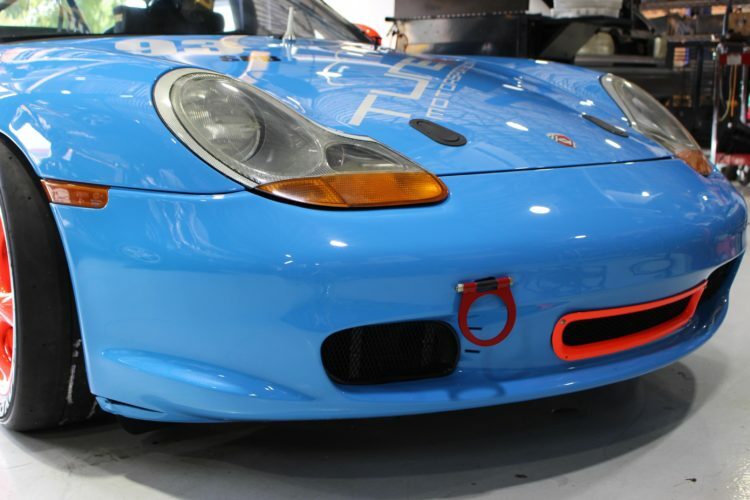 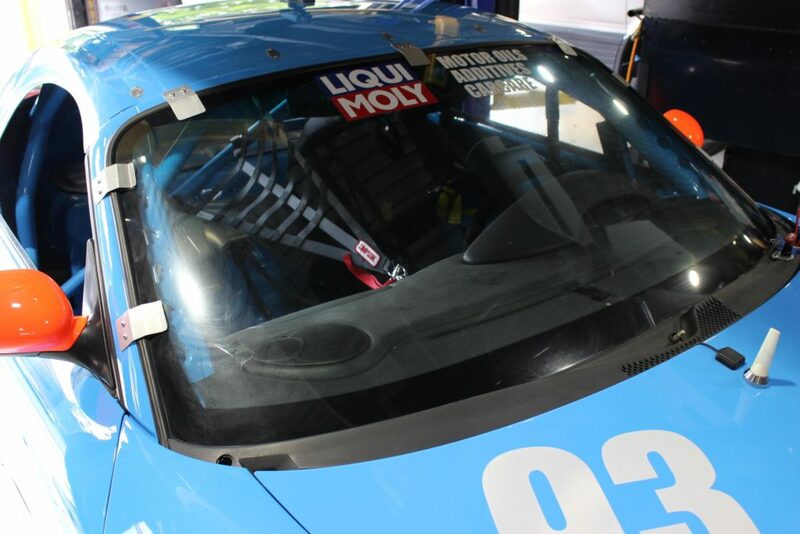 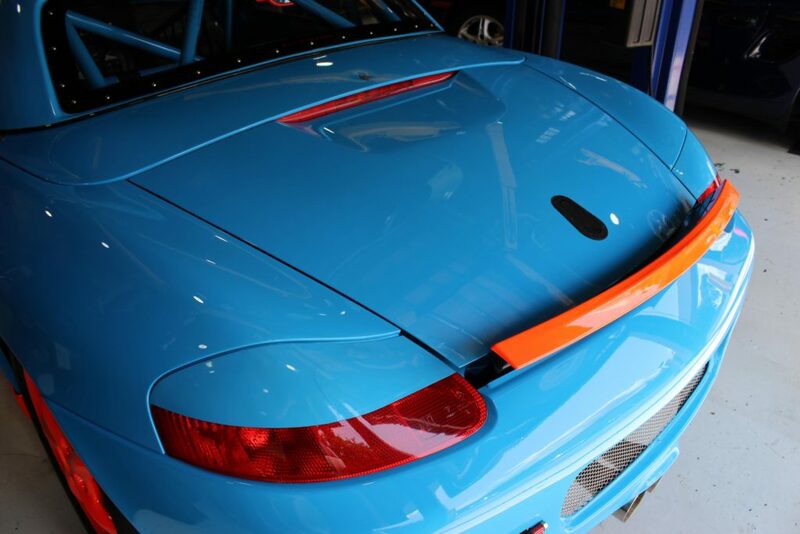 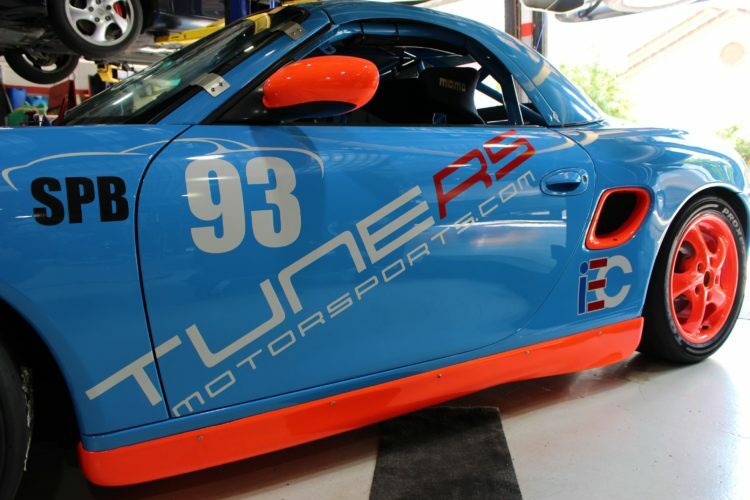 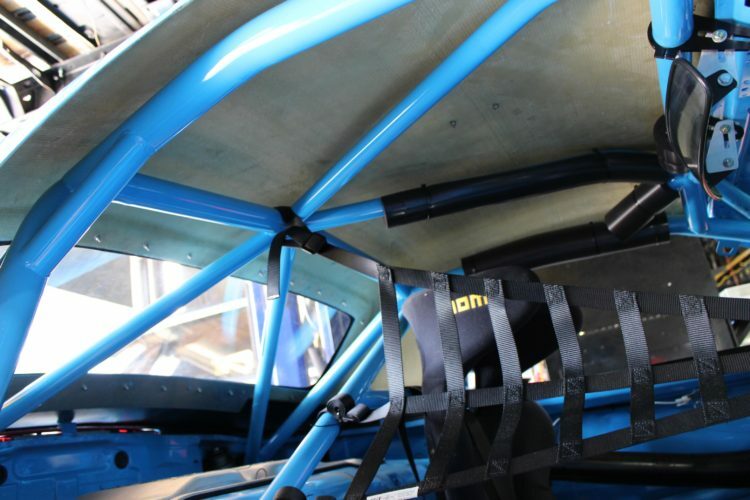 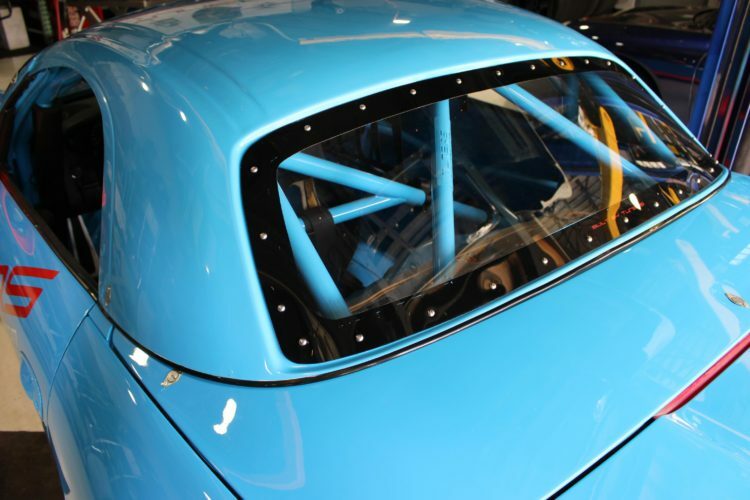 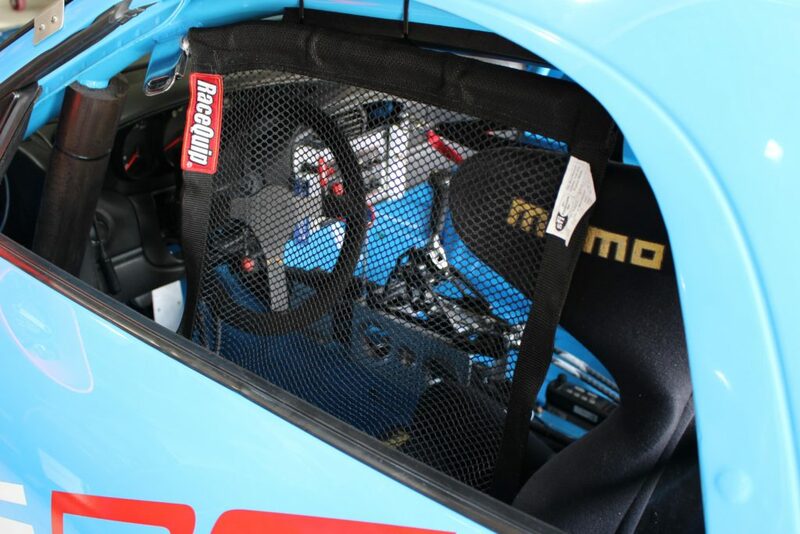 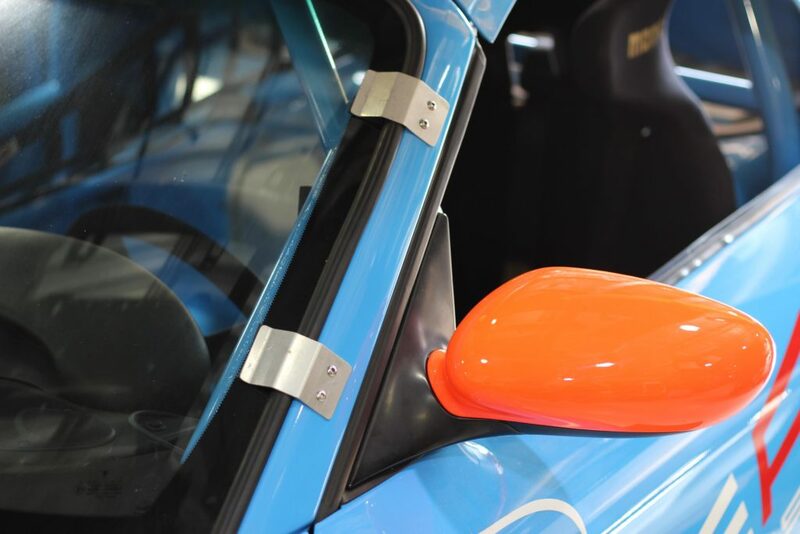 All Spec Boxster’s built by our team here at TuneRS are race ready from the day you receive it and are built to handle sprint racing to endurance racing. What sets our Spec Boxsters apart from other SPB builders? 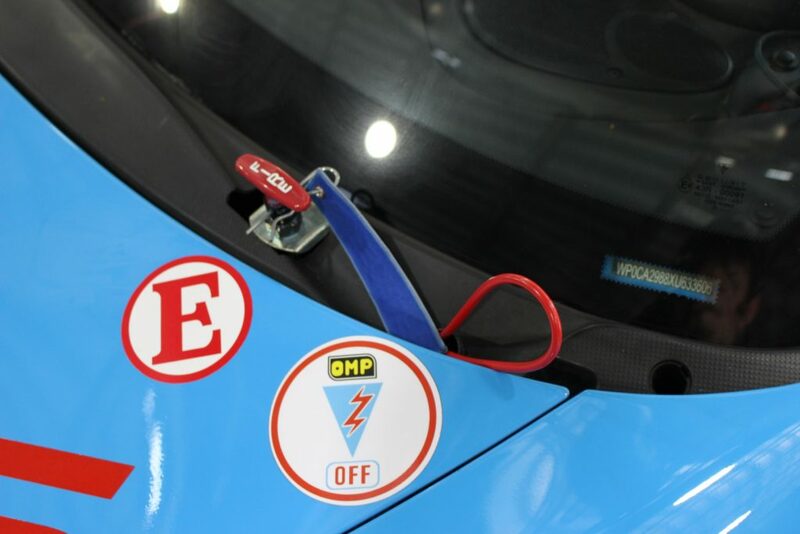 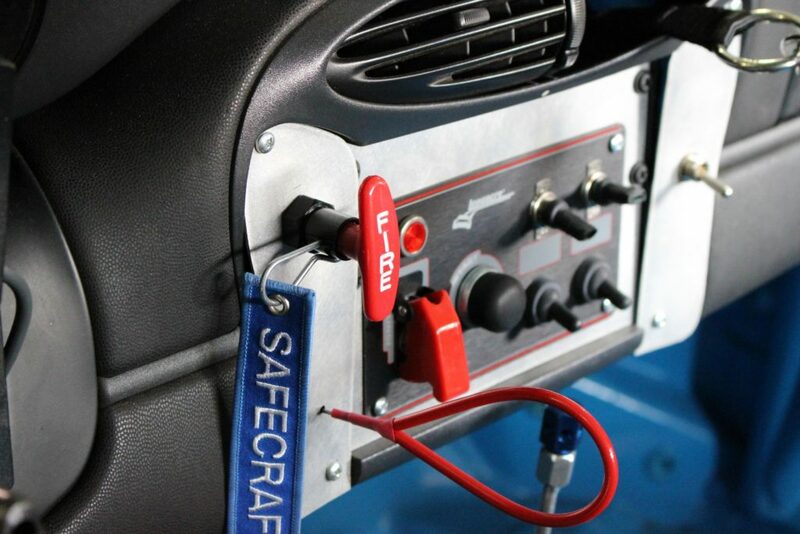 Our attention to detail the team puts in to each and every vehicle build. 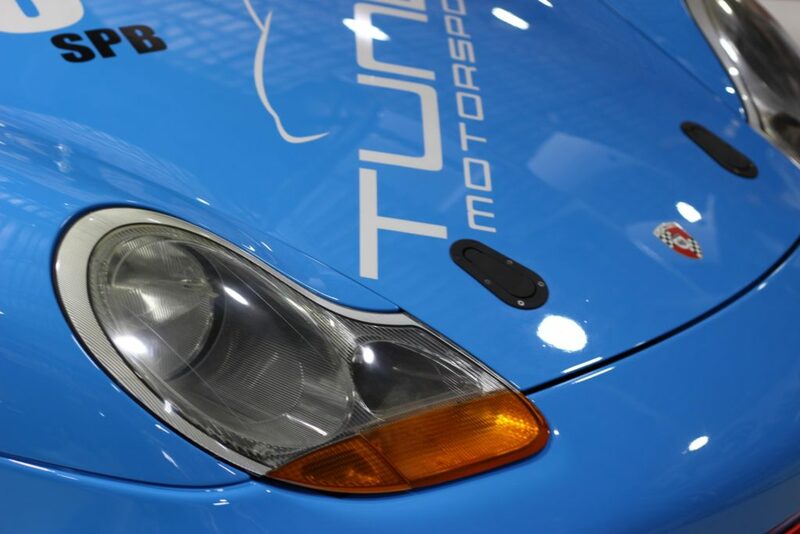 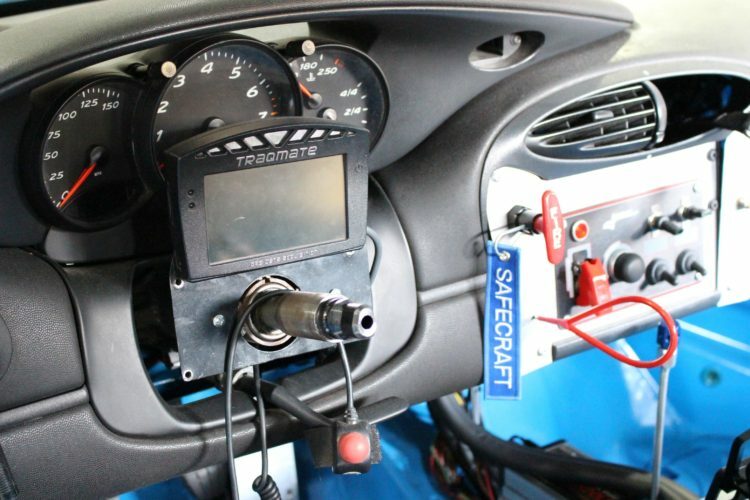 Below you will find the specifications this Spec Boxster has received during the build (in progress). 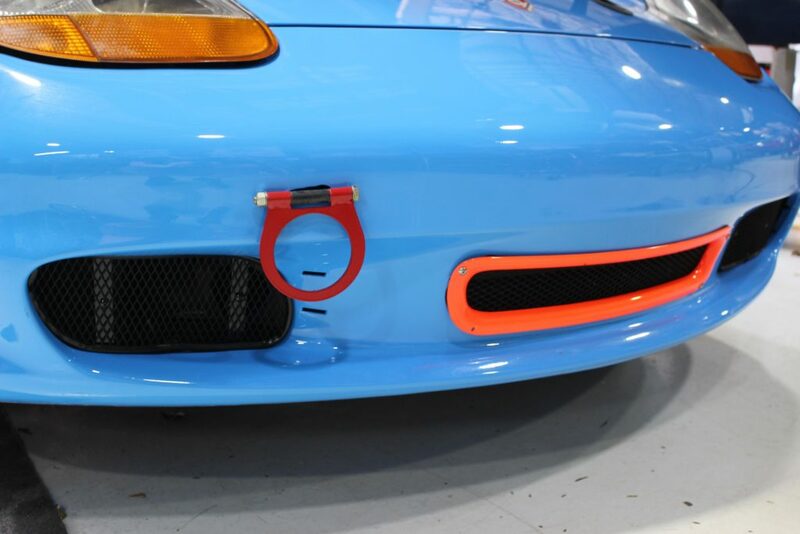 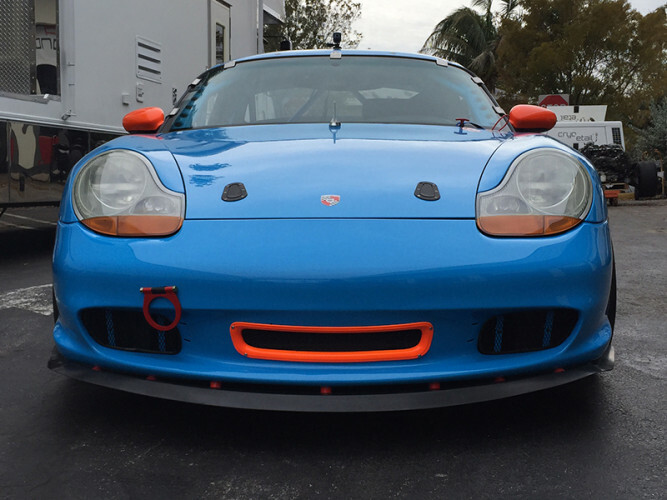 Quality is key when building a racing vehicle or any vehicle and knowing that our Spec Boxsters will compete with the best and endure hours and hours of racing is what helps set us apart from the rest. 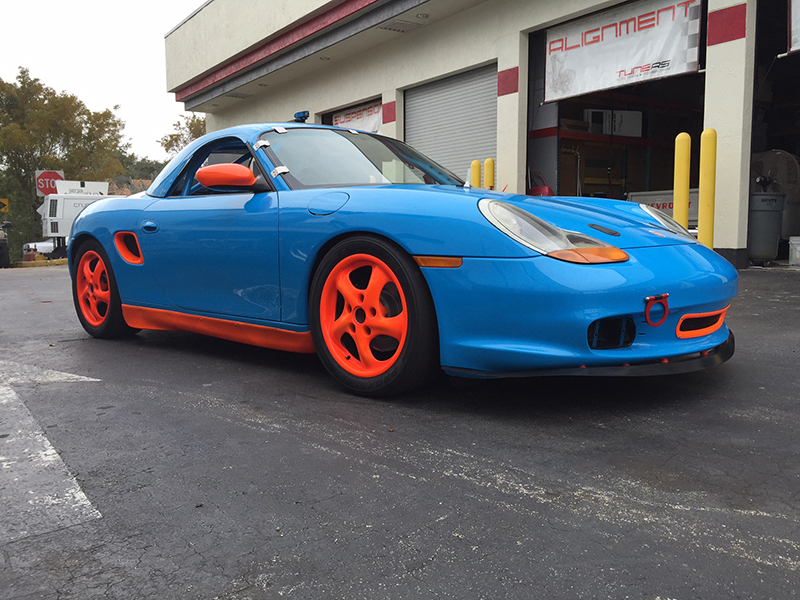 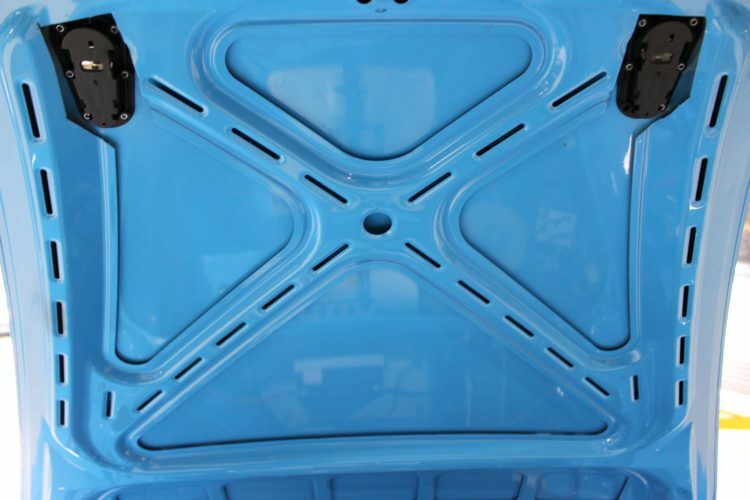 These Boxsters are not put together overnight; they are assembled over a several month period with different phases through the build to ensure no corners are cut and that you, the client, are receiving the best of the best. 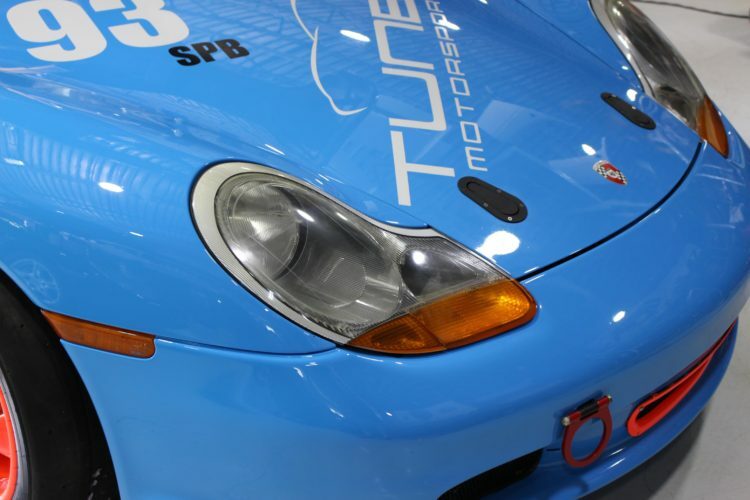 Every part that is installed is factory new; no used or remanufactured components are ever placed into our Spec Boxster builds. 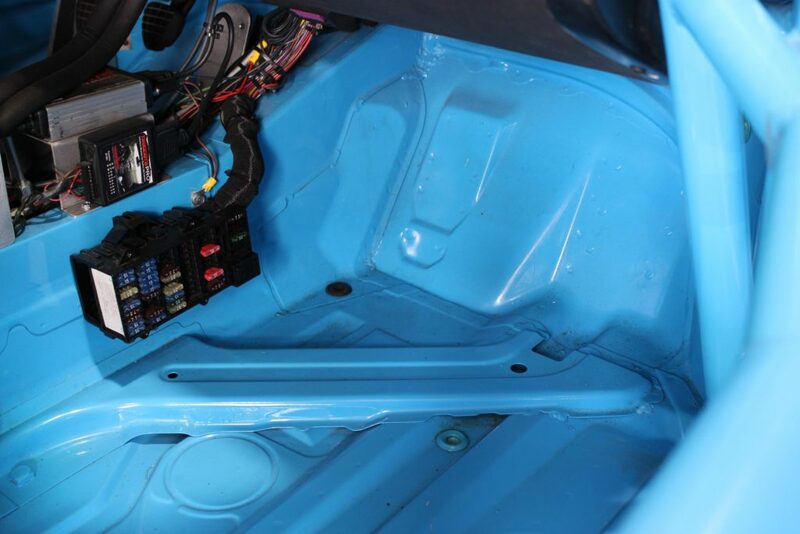 This backs up our “new, zero mile” claim on the components installed. 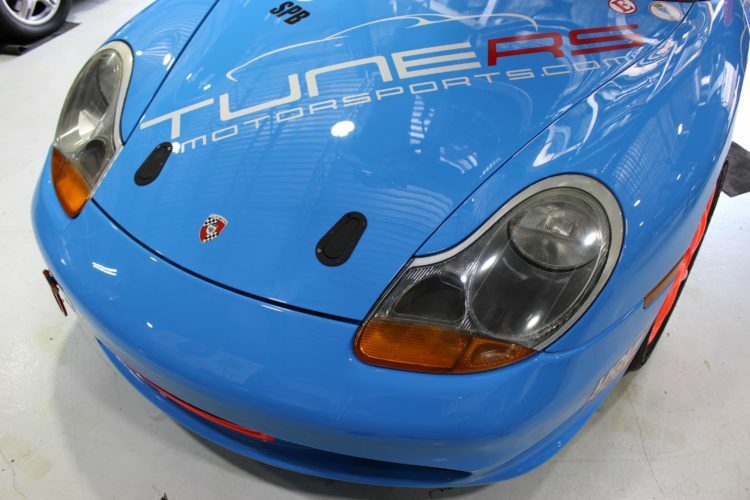 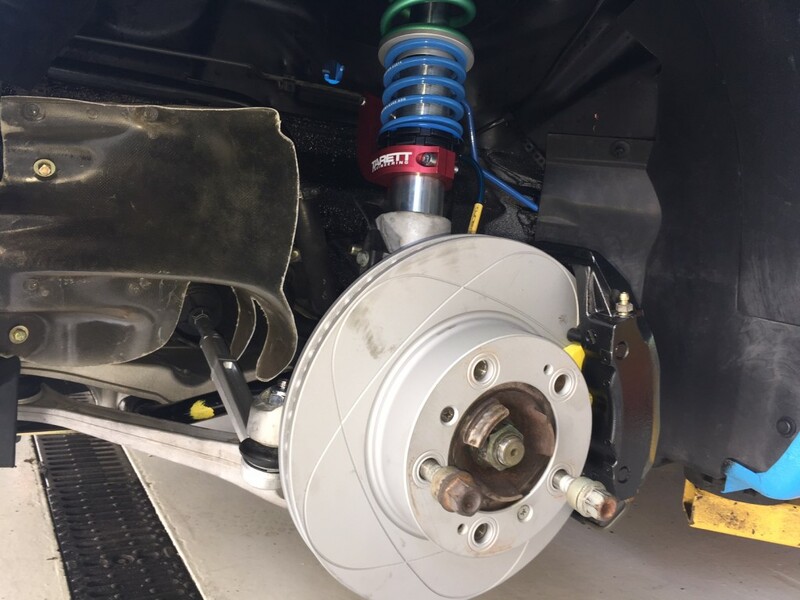 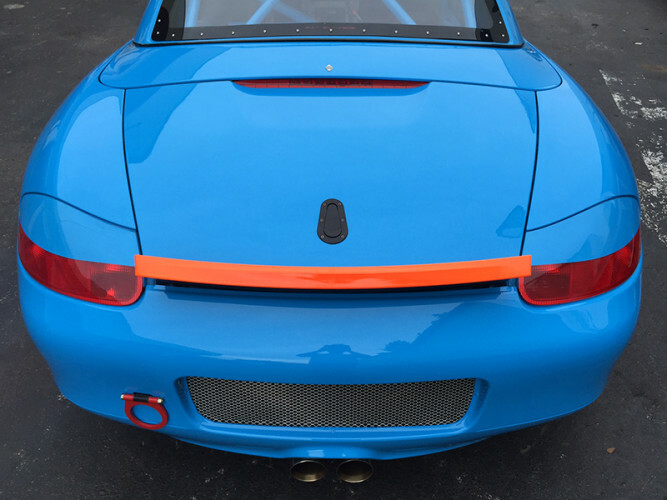 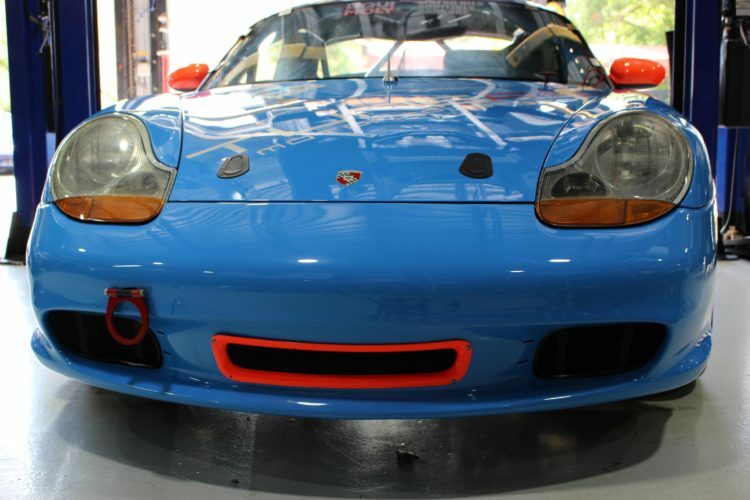 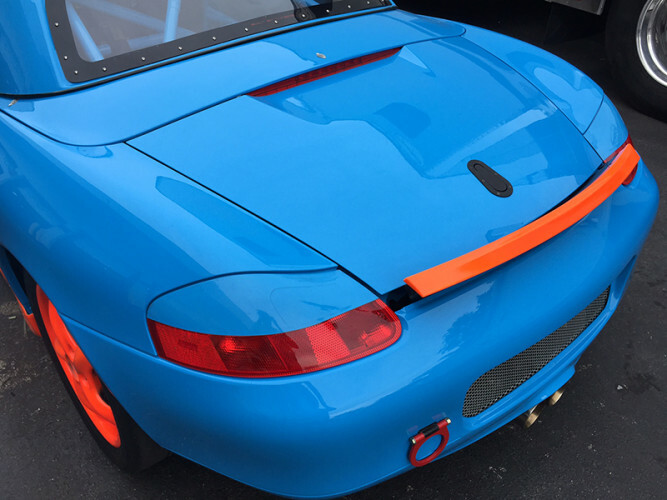 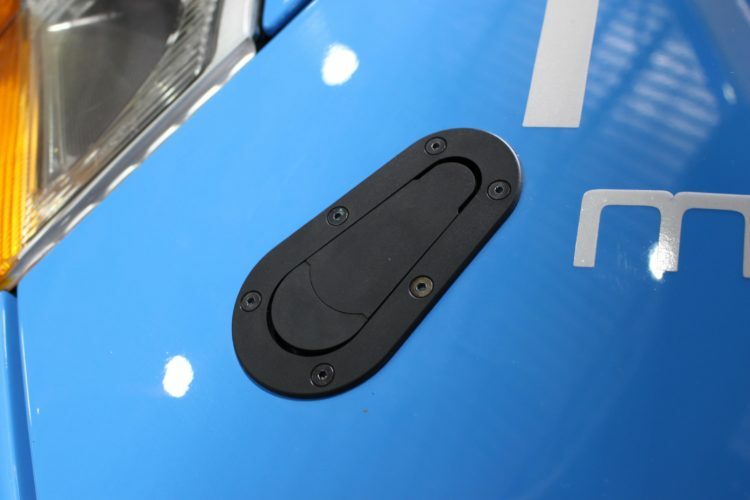 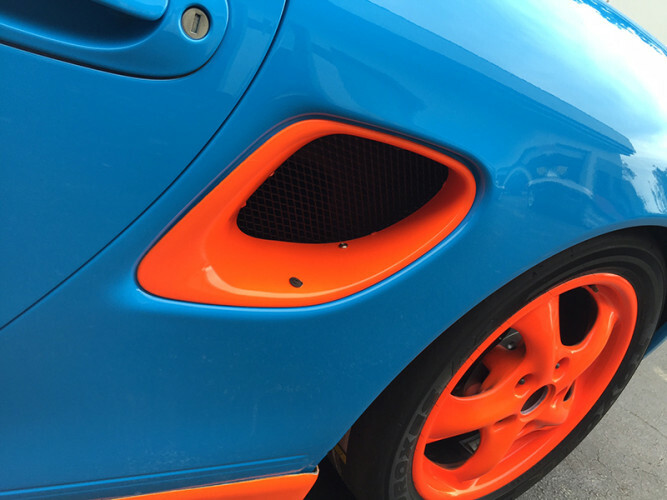 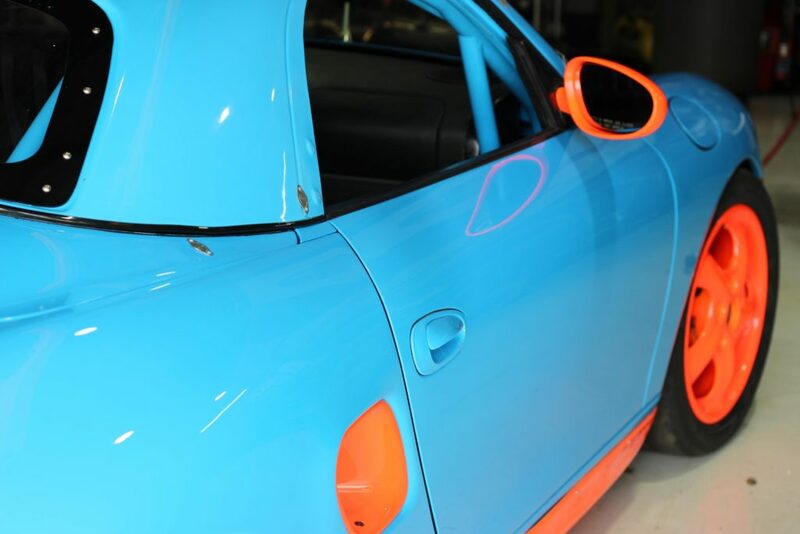 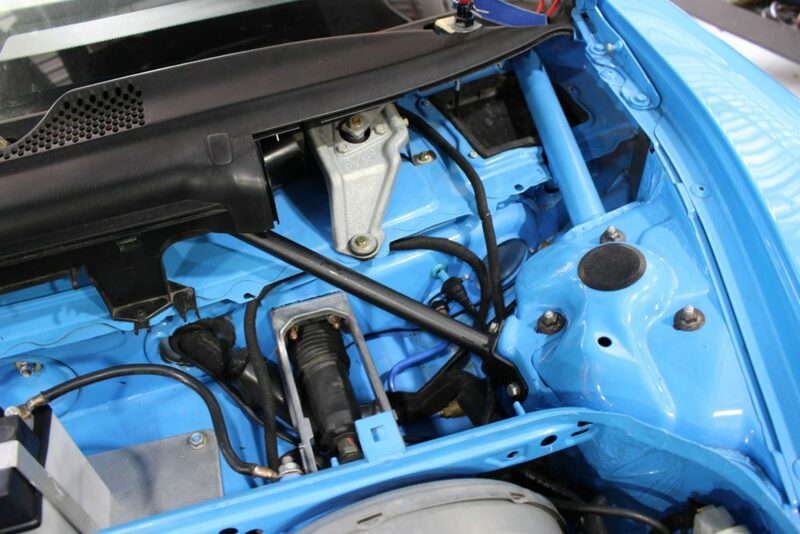 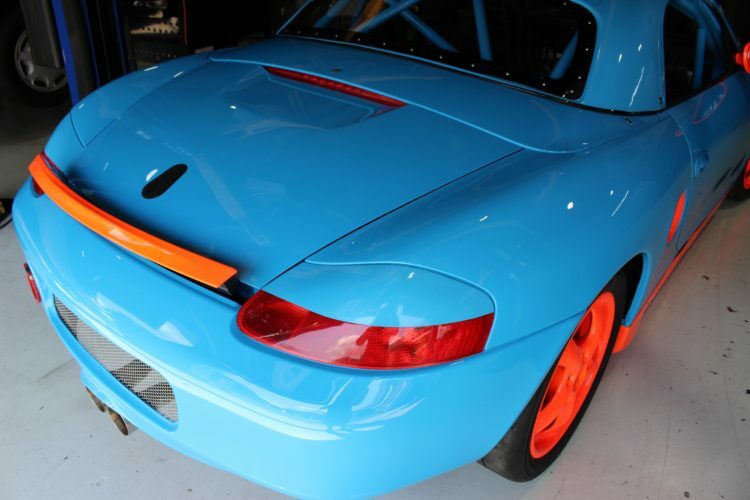 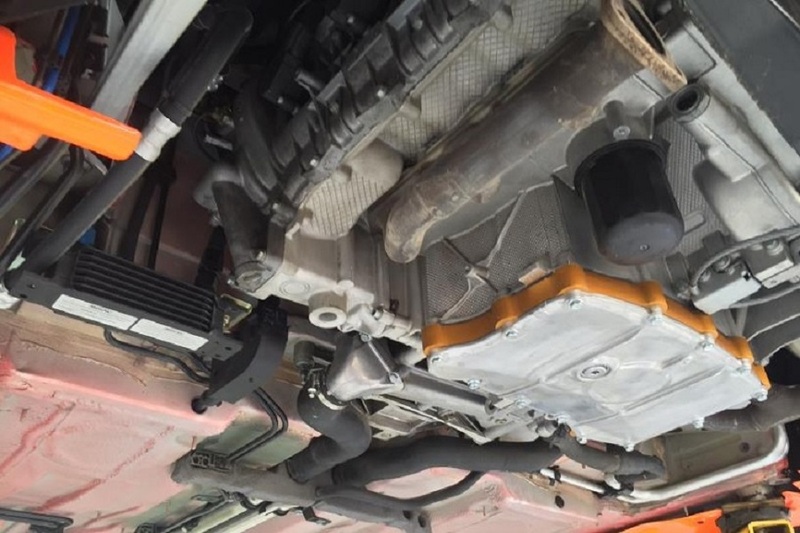 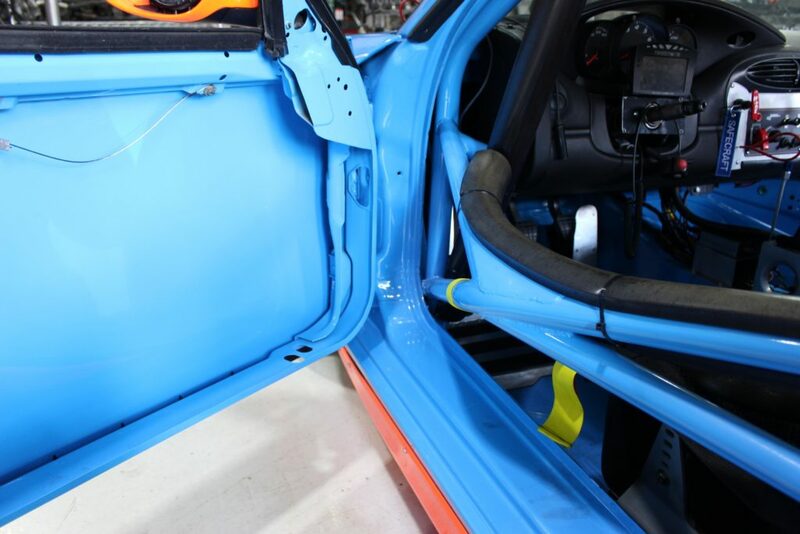 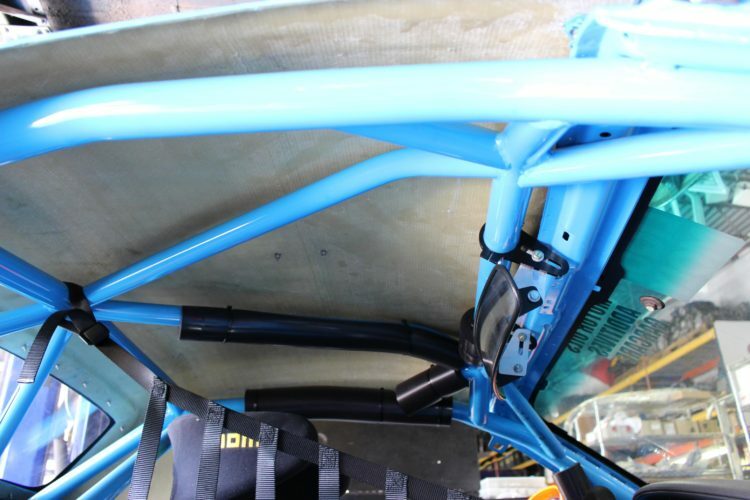 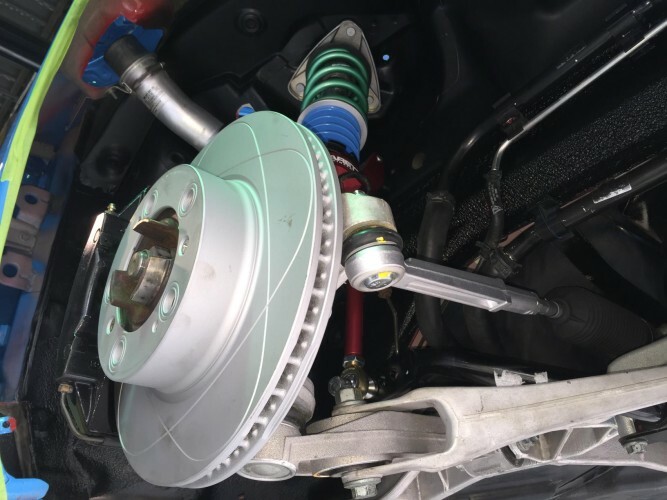 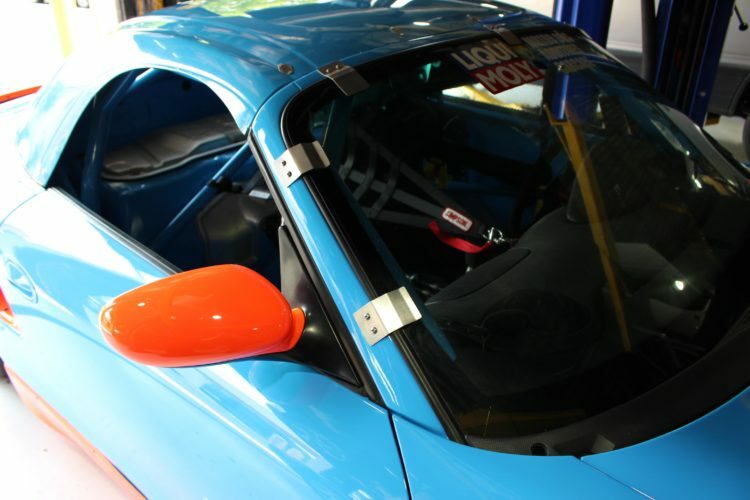 Even the vehicles we choose to have the Spec Boxster race conversion performed are chosen under strict guidelines which include zero accidents and straight tubs. This Spec Boxster had it’s entire body stripped down to nothing. 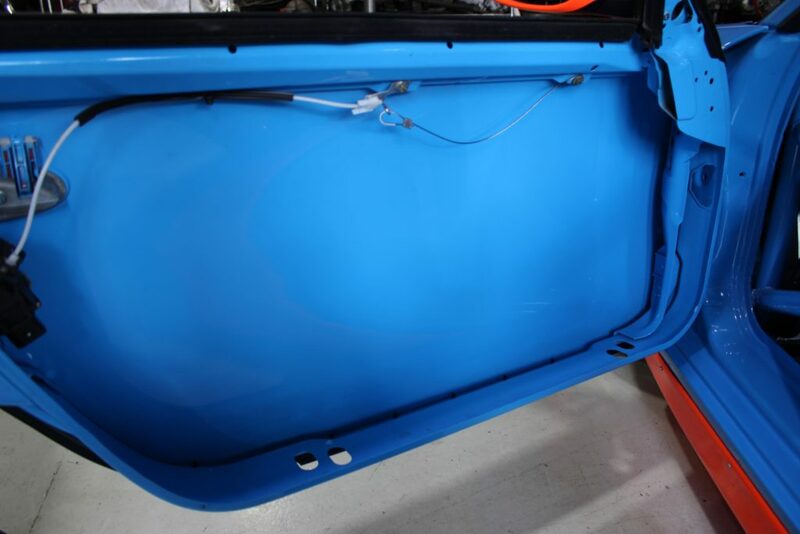 All of the original seam sealer was even removed to shed maximum weight. 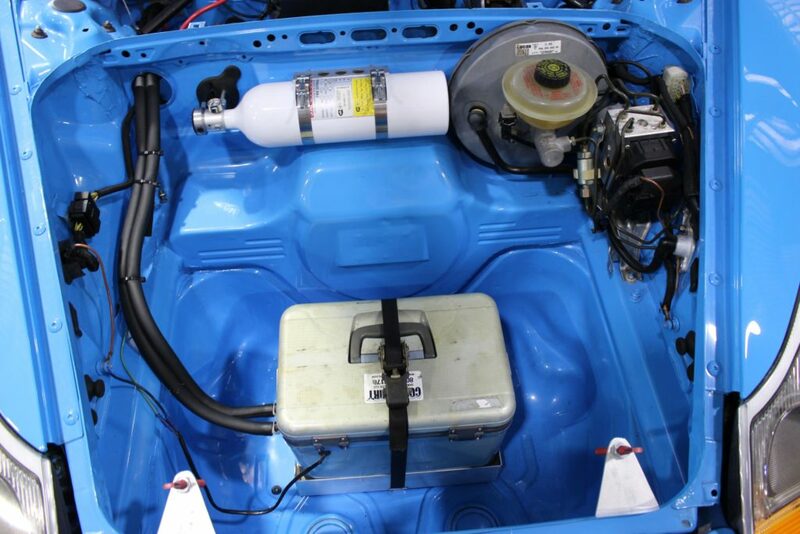 The tub started as a clean, straight, non-accident vehicle which was the perfect candidate. 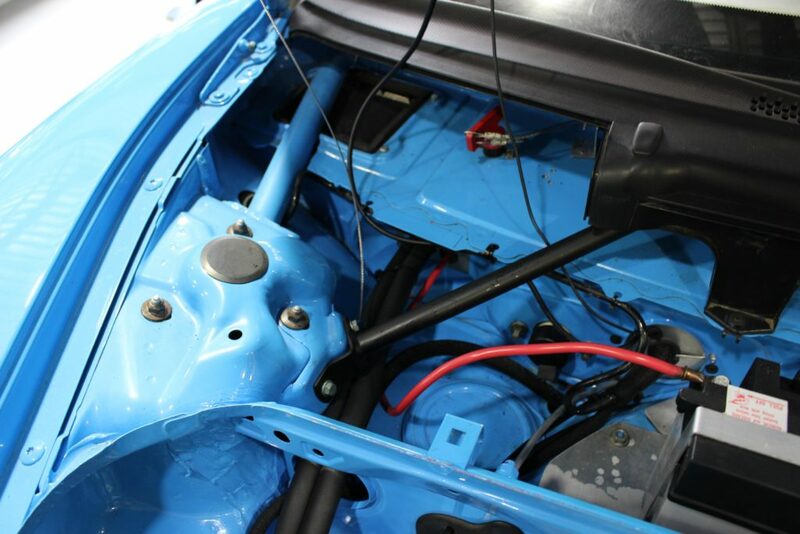 All of the wiring harness was removed and cleaned, removing all unnecessary wiring to continue with the weight reduction. 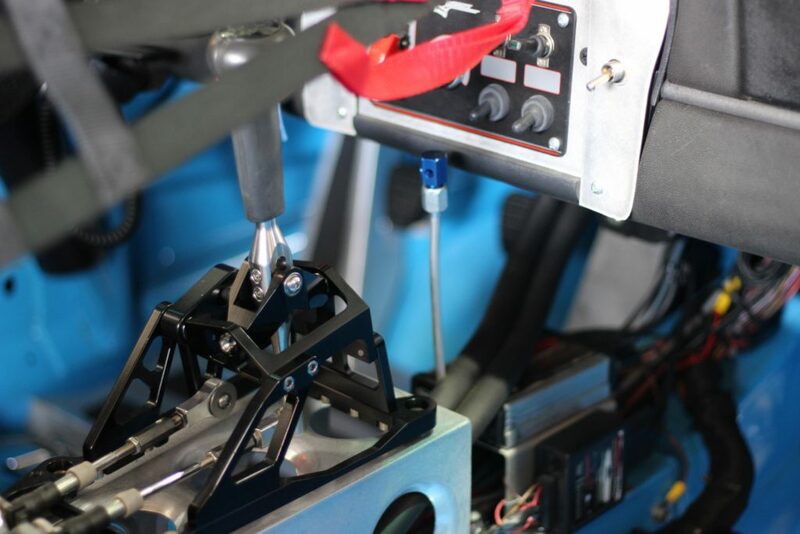 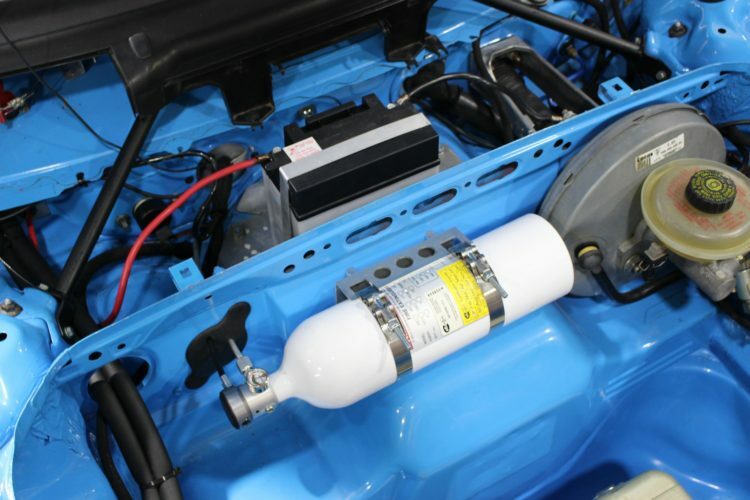 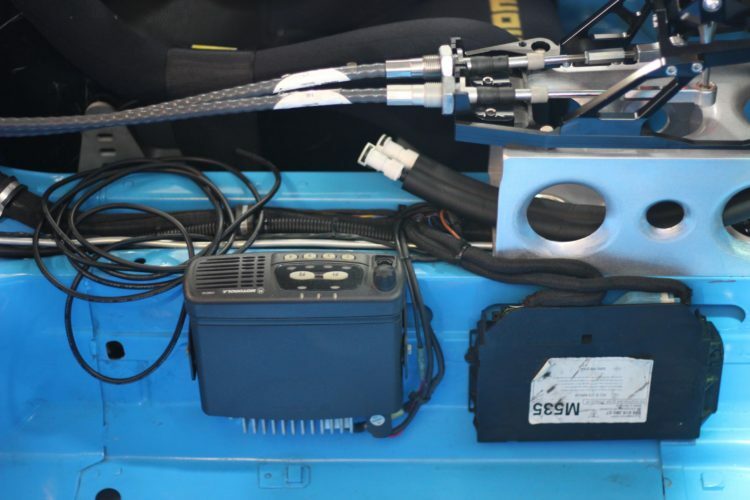 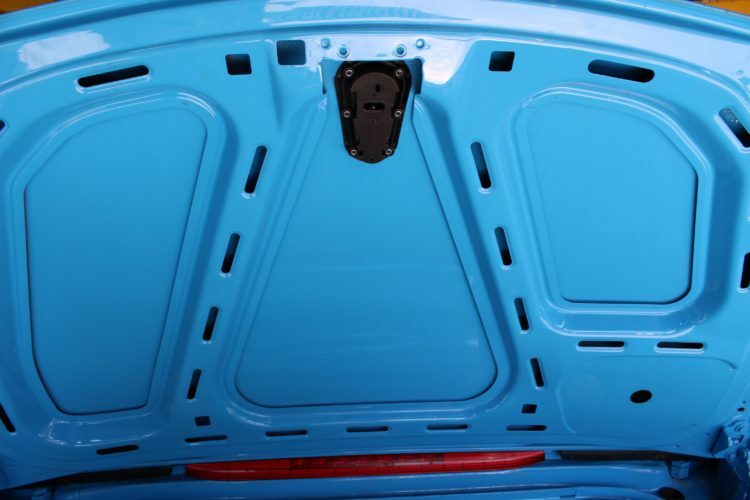 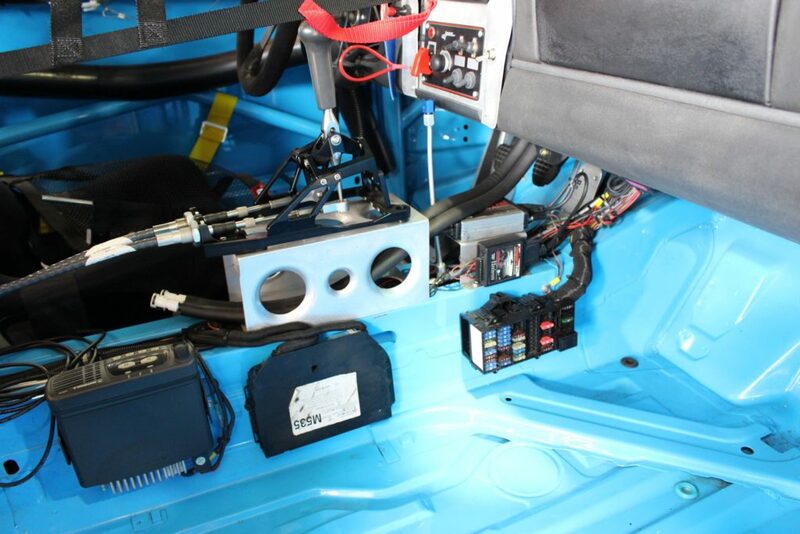 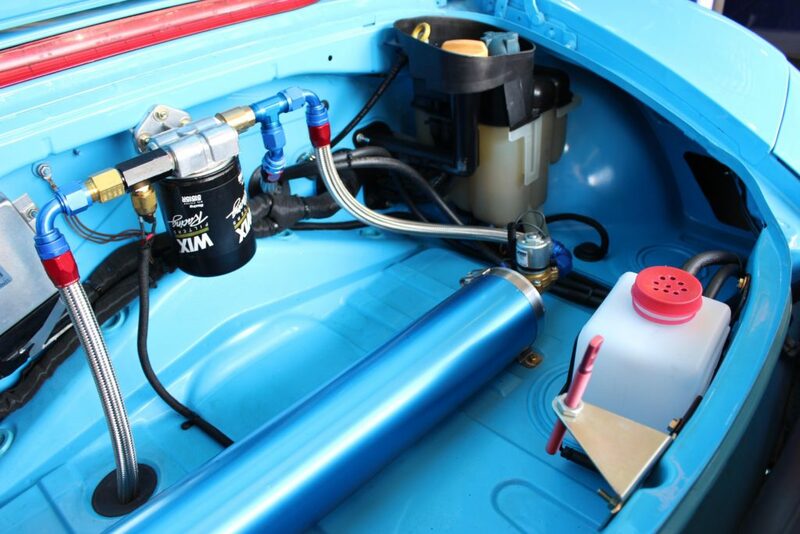 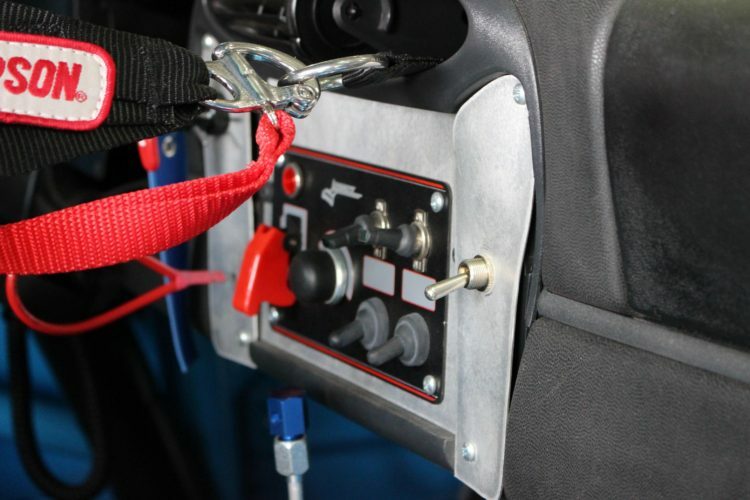 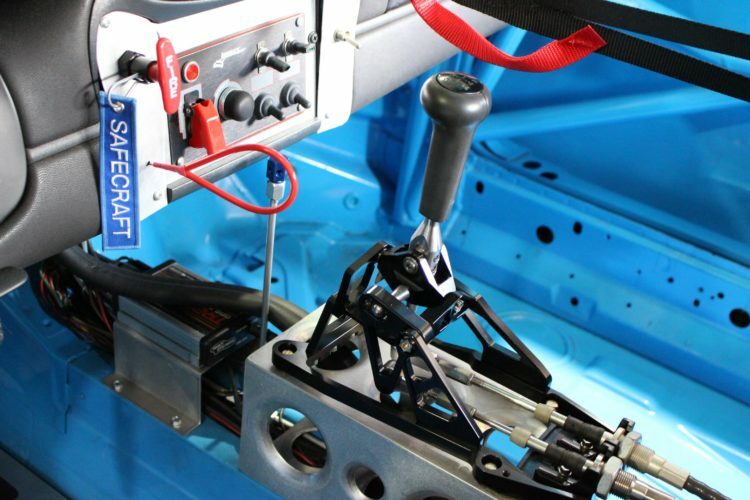 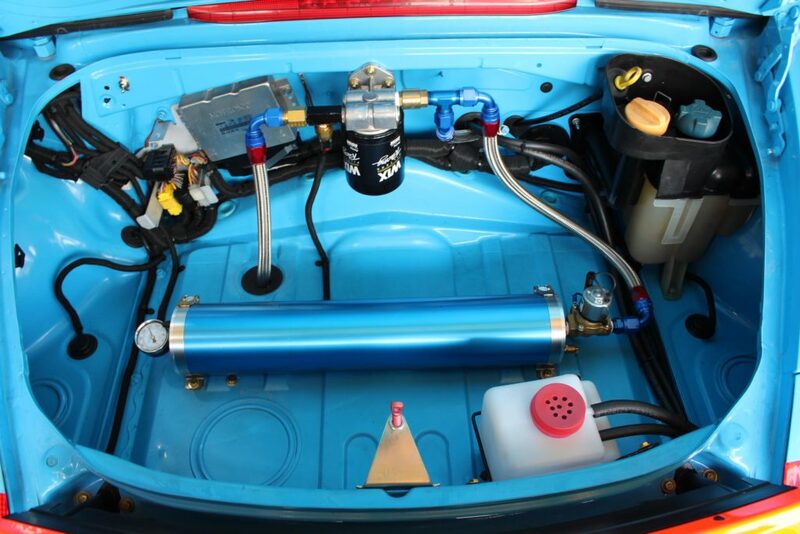 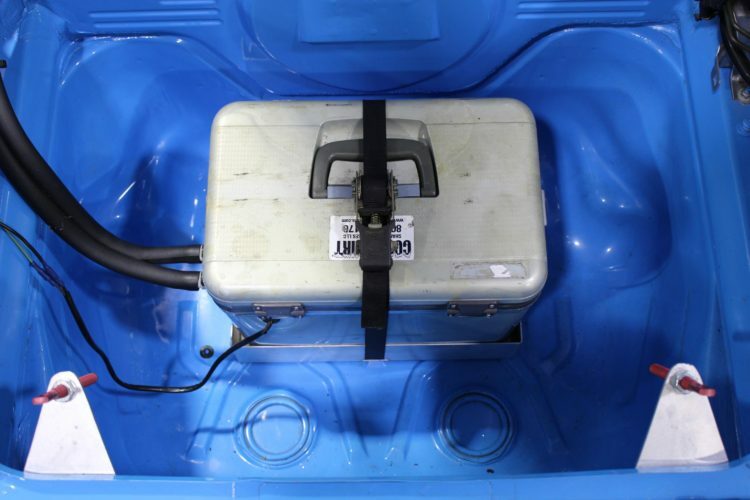 The wiring was then re-routed with the fuse box and relay box to the passenger side of the vehicle to help with better weight distribution and ease of access.